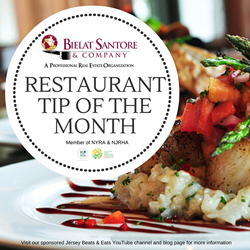 Bielat Santore & Company has released a “Restaurant Tip of the Month” online flipbook; the newest installment in their blog and video series. The virtual book, which can be found on the company’s hub page and website, at http://www.123bsc.com/, provides ten tips for restaurant industry professionals and those interested in owning a restaurant to use as a guide in operating a successful business. Tips featured in the series include: choosing the right restaurant location, developing a business plan, financing your restaurant, restaurant design and layout, menu and pricing; the importance of the employee manual; restaurant equipment; reviewing and maintaining your business plan; and managing working capital, and preparing to sell your restaurant. Tips can also be viewed on the company’s sponsored Jersey Beats & Eats blog page and YouTube channel at http://www.jerseybeatseats.blogspot.com/ or http://www.youtube.com/BeatsandEatsNJ.